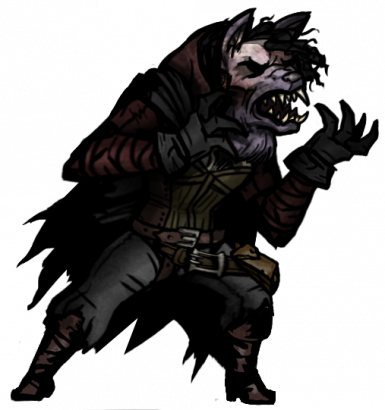 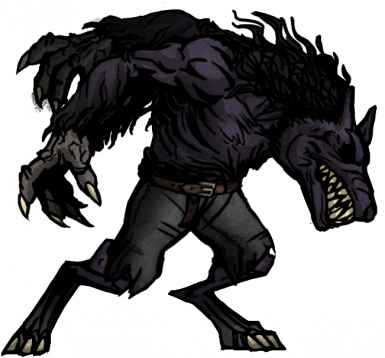 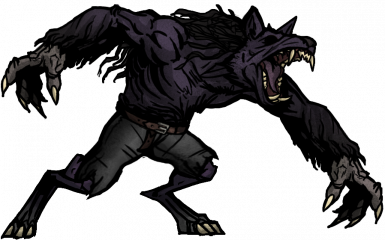 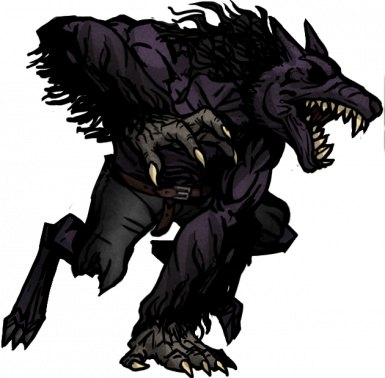 A Werewolf skin for the Abomination. 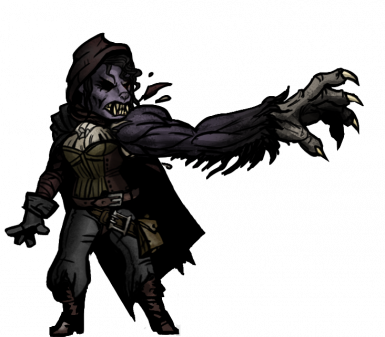 This is just a skin for the Abomination, inpired in a friend's character. 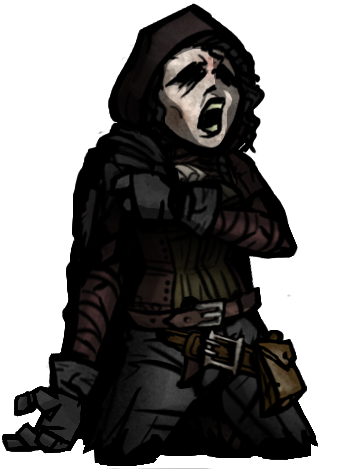 -Effects Don't Match, yep I know. 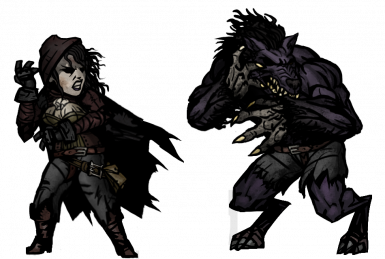 -Small white pixel inside the walking, idle and combat animated sprites. 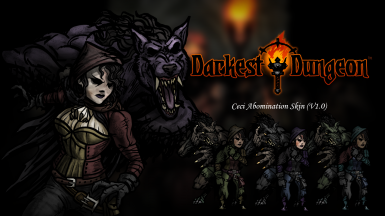 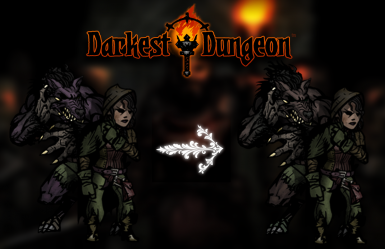 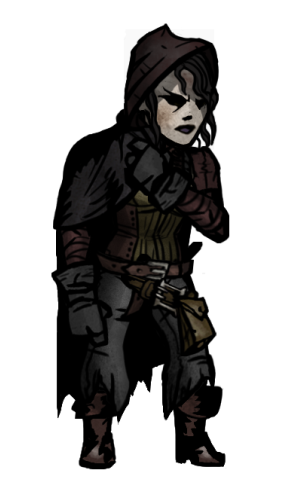 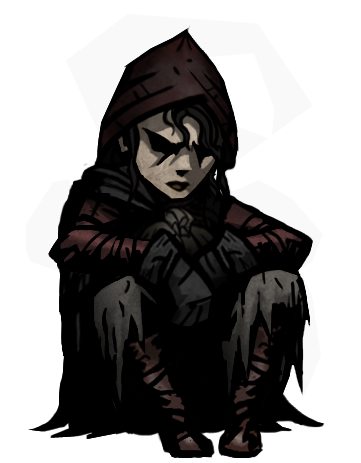 Ceci is property of HoodedLay and everything Darkest Dungeon related is entirely the property of Red Hook Studios. 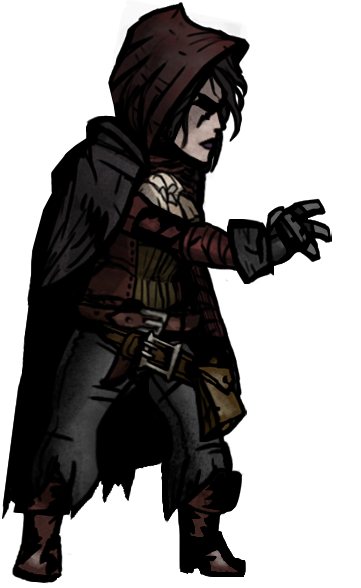 2- Fixed the wrist and the cape of the idle, walking and combat sprite. 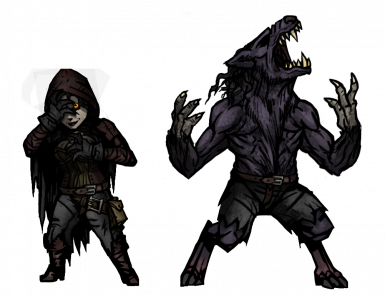 3-Added more colors and fixed the rotating sprites. 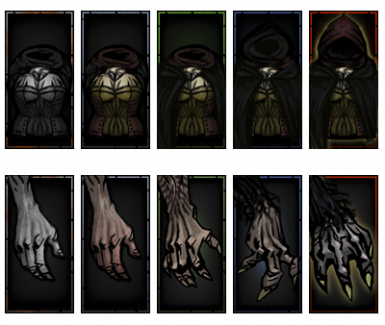 4-Added Icons, attacks, armor and FX, also a Replacement file.